On Friday, May 13th, SNCC activists, family, colleagues from District of Columbia municipal government, and more gathered at Metropolitan A.M.E. Church to say goodbye to Ivanhoe Donaldson. It was, as the program read, a “Celebration of a Consequential Life.” Ivanhoe Donaldson, a SNCC organizer and political strategist, passed away on Sunday, April 3rd. In this article, Larry Rubin, a colleague from SNCC, pays tribute to Ivanhoe Donaldson’s life and legacy. The article was originally published by People’s World. In the 1960s, the Student Nonviolent Coordinating Committee (SNCC) helped African American Southerners, who faced terror and intimidation, organize to be allowed to exercise their right to vote. The work was tedious, frustrating, exhausting and dangerous. Ivanhoe Donaldson taught many of us how to do it. SNCC organizers, mostly black Southerners themselves – with some black and white folks from the North – worked to support thousands of “everyday” heroes who risked everything for equality and justice. Your name and address was put in the paper if you tried to register to vote. If you were African American, you could be beaten, have your house burned down, your mortgage called in, be fired from you job or be put off your land. Donaldson, born in Harlem and raised in the Bronx, the son of an African-American New York cop, went South and helped black people from Mississippi to Virginia face the dangers and join the Freedom Movement. Before the Selma march, Donaldson was in Alabama helping to organize the Lowndes County Freedom Organization, whose members adopted as their symbol a Black Panther. Later it was used, with permission, by the group who organized in Oakland, California. After his work in SNCC, Donaldson helped change the color of American politics by helping black candidates across the nation win offices for the first time. He was one of the first leaders to recognize the untapped electoral power of the District of Columbia’s majority black population and helped transform the District from a somnolent, subjugated colony into a progressive community able to continue its fight for full home rule. Donaldson was a brilliant organizer, an astute political tactician and a fearless fighter for equality. Like Bayard Rustin and Ella Baker, he was part of the Movement backbone. He helped shape its direction, but felt his role was to help others become visible leaders and spokespersons. If you haven’t heard of him, you will. His story will be told as the true history of the Civil Rights Movement continues to be written. I first meant Ivanhoe in 1964. 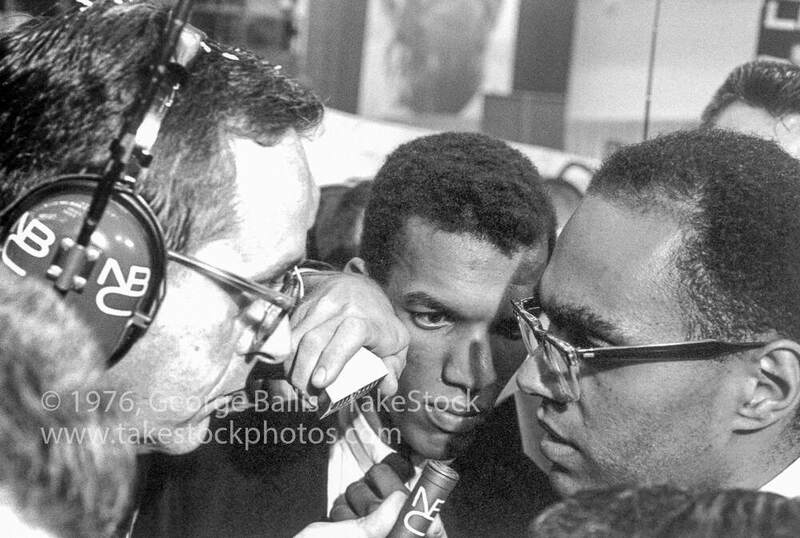 I had been an organizer for SNCC since ’61 and had been sent to Holly Springs, Mississippi, where I worked alone for many months before a group of volunteers and an experienced project director, Ivanhoe Donaldson, arrived. I was expecting a director who would be, like most SNCC leaders, armed with little more than great faith.